Gastritis may be defined as inflammation, erosion, or irritation of the lining of your stomach, also called the gastric mucosa. All or a part of your gastric mucosa can be involved, thereby it may be classified as chronic or acute. Symptoms of gastritis can be different depending on each person, and sometimes many people do not have any symptom. Nevertheless, the most common symptoms include nausea, vomiting, the gnawing or burning feeling in your stomach at night or between meals, the full feeling in your upper abdomen after eating, indigestion, heartburn, abdominal pain, dark stools, bloating, and loss of appetite. This disease can result from infection of your stomach mucosa caused by Helicobacter pylori bacteria, excessive uses of pain relievers or some other anti-inflammatory drugs, consuming acidic and spicy drinks and foods, and the vitamin B12 deficiency. In addition, people who consume too much alcohol, people suffering from conditions and diseases such as parasitic infections, HIV/AIDS, and Crohn’s disease, and older adults have a higher risk of having gastritis. Besides, stress and viral or fungal infections may also be contributing factors. Some mild cases of acute gastritis can be reduced within a few days. And you can try a few simple remedies at home along with diet and lifestyle modifications to control and prevent this problem. However, if you get chronic gastritis and experience much discomfort, you have to consult your doctor because it can result in ulcers. In this writing, Effectiveremedies.com will show to you top 25 natural home remedies for gastritis pain without any side effect. This article listed the best methods to treat this problem from reliable sources. However, it is not intended to give medical advice and it is solely for the informational purpose. Continue reading this article to understand more! 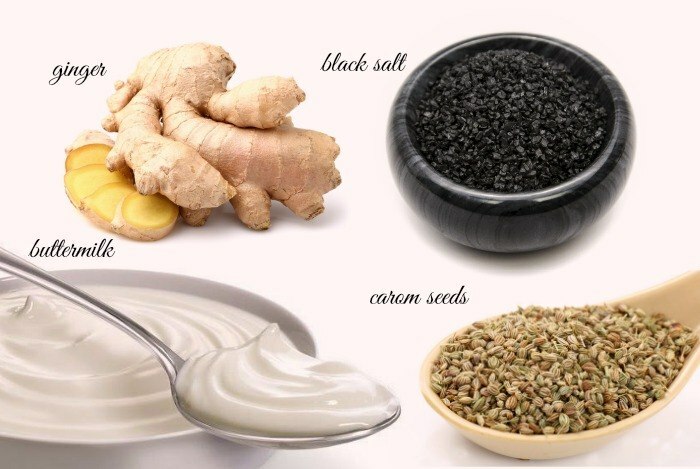 Looking for natural home remedies for gastritis pain, using carom seeds is one of the best choices for you because they are a natural antacid. 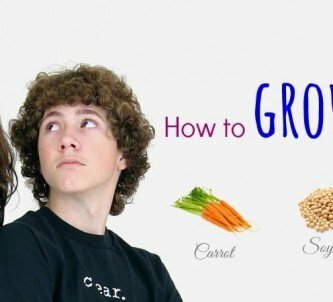 These seeds can protect your stomach’s mucous membrane from hyperacidity and acidity. Besides, carom seeds can also cure nausea, indigestion, and bloating. You add carom seeds, dried ginger, and black salt into a small bowl. Finally, you consume 1 teaspoon of the mixture along with 1 glass of warm water. You may repeat the same process for about 3 times a day. Firstly, you add carom seeds powder and black salt into the glass of buttermilk. Finally, you can drink this solution slowly. You had better follow this remedy for about 2 times per day. You add carom seeds and water into a pot. Then, you allow them to boil until this water reduces by half. Finally, you strain this mixture and drink half a cup of this water. You may have it for about 2 times a day. Yogurt is very good for you to add into your daily diet, especially when you suffer from gastritis, because it has active live cultures. The probiotics in yogurt can help to protect the stomach lining from Helicobacter pylori bacteria that will cause gastritis. In addition, yogurt can also boost your immune system to treat infection more quickly. 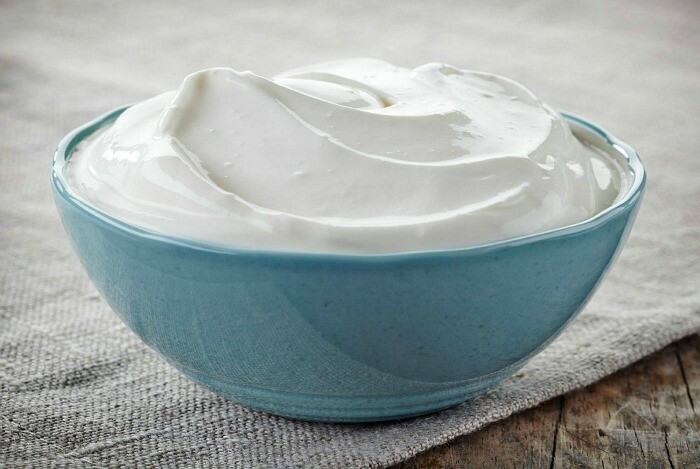 Simply, you just eat two to three cups of plain yogurt daily till you get relief from this problem. 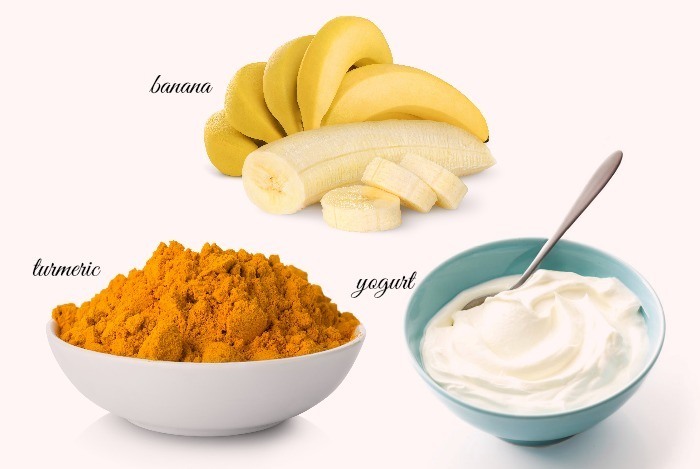 You may also try a yogurt, honey, and banana smoothie. You had better drink it for about two or three times per day on a daily basis for quick recovery. Ginger is considered as one of the effective home remedies for gastritis thanks to its anti- antibacterial and inflammatory properties. Moreover, it can also reduce inflammation, treat the infection, and alleviate symptoms such as stomach pain, gas, indigestion, bloating, and nausea. At first, you chop this piece of ginger root into slices. Then, you add these chopped ginger root slices into the cup of boiling water. Next, you cover this cup and allow it to soak for about 10 minutes. After that, you strain and add honey into it. Finally, you sip this tea slowly. You may drink this solution for about two or three times per day for about one week. Firstly, you add ginger juice and honey into a cup. Finally, you take this mixture before eating your meal. You may follow this remedy for about two times a day on a daily basis for one week. Or, you can chew and swallow a small piece of ginger root or consume ginger capsules to cure gastritis. You add ginger powder, asafoetida, and rock salt into the mug of warm water. You may do this way for about one time per day. Note: Ginger can interfere with high blood pressure and blood-thinning medications. Turmeric contains curcumin, anti-contagious, antibacterial, and anti-inflammatory properties that can mitigate the gastric mucosa and reduce irritation in your gastrointestinal tract. Firstly, you create a glue of turmeric by adding a little water into it. Then, you can have this paste along with banana and yogurt. You may have it daily. 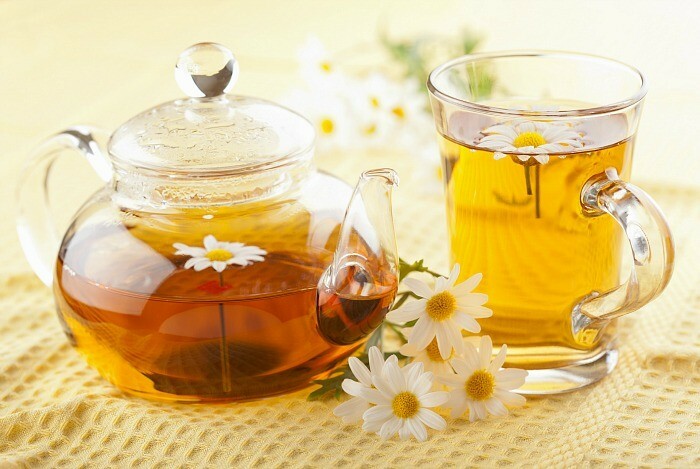 Chamomile tea can also be very beneficial in treating gastritis. Chamomile is rich in essential oils, which are helpful for your digestive system. Moreover, it can also soothe your intestinal walls that will provide you with a relief from sudden pains, as well as eliminate gas. In addition, it can ease stomach inflammation and thus decrease the risk of ulcers. You add the dried chamomile flowers into the cup of hot water. Then, you cover this cup and allow it to soak for 7 to 10 minutes. After that, you strain it and then add honey into this tea. You may follow this remedy for several times a day for one week. Note: You do not boil this herb because its active compounds can be destroyed. Using cloves is another remedy in the list of top 25 natural home remedies for gastritis pain that you should try! 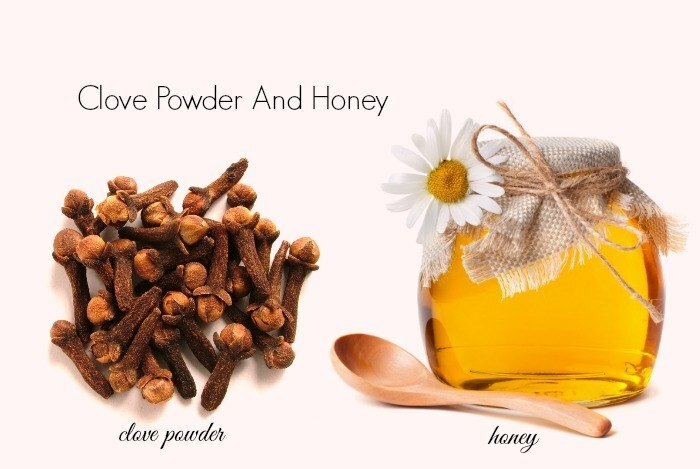 At first, you add clove powder and honey into the glass of water. Finally, you drink it to relieve retching and nausea. You may follow this method daily or when needed. Or, you can chew the cloves to reduce nausea, acid reflux, and indigestion. 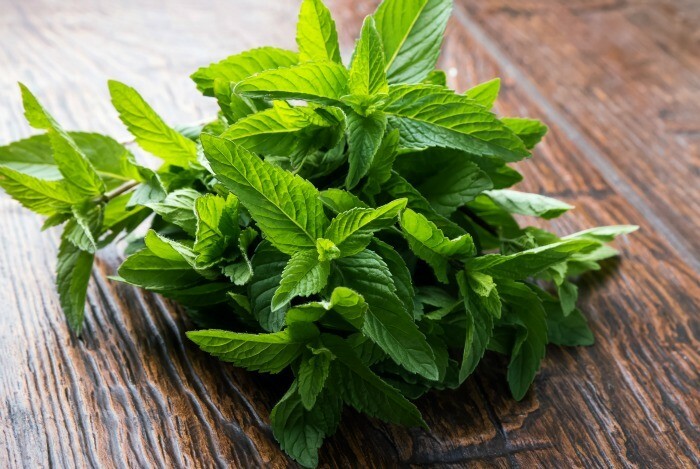 Another remedy in the list of top Twenty-five natural home remedies for gastritis is to use peppermint. Peppermint contains anti-inflammatory, antispasmodic, and antibacterial properties. In addition, its soothing properties may reduce inflammation of your stomach lining. 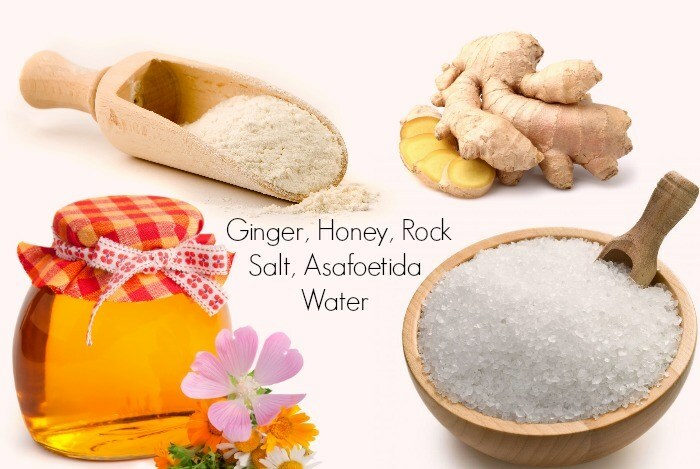 Moreover, it can also help to reduce nausea, heartburn, and indigestion. You wash these peppermint leaves thoroughly. Then, you put these leaves into your mouth and chew them slowly. You may repeat this simple remedy daily or when needed. Or, you can add them into your salads, soups, and smoothies. Or, you can take 1 tablet for about 2 or 3 times per day. However, it is best for you to consult your doctor before taking it. 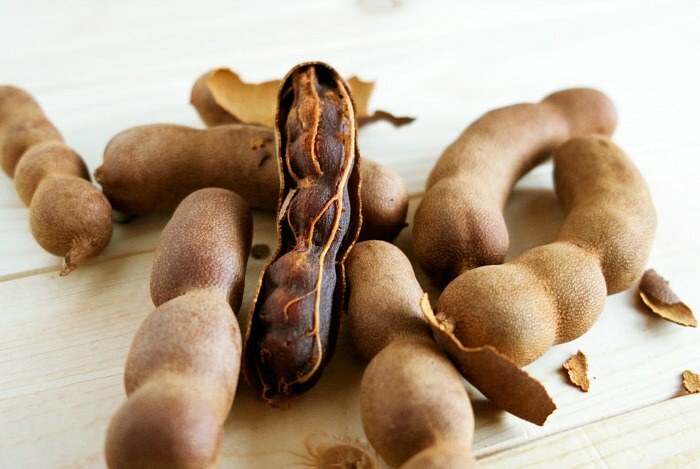 Seeking natural home remedies for gastritis pain, you should not skip tamarind water. You add asafoetida and cumin water into the glass of tamarind water. Finally, you take it as a drink. You may repeat this way daily or 2 to 3 times a day. Strawberries can also help to heal gastritis thanks to their antioxidant property along with their rich content of phenolic compounds. Moreover, it can help to prevent the inflammation in your stomach lining. According to a 2011 study of European researchers, regular consumption of strawberries may aid in reducing the harm that alcohol can cause to your stomach mucous membrane. You add the dried strawberry leaves into the cup of hot water. Then, you let it steep for about 7 minutes. Finally, you strain this water and drink it. You can have it for 2 or 3 times per day till the gastritis symptoms subside. 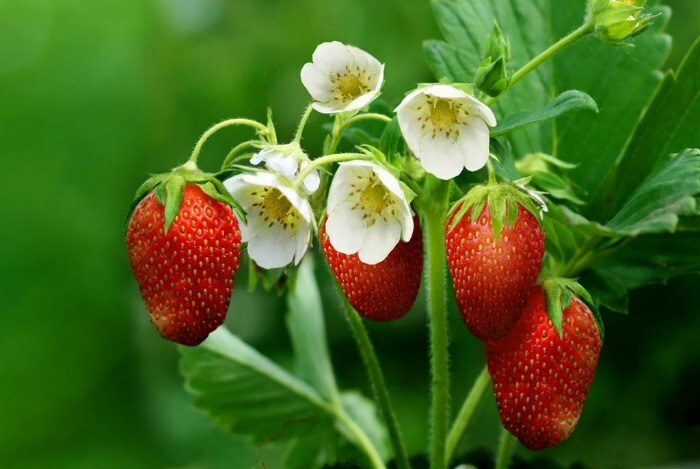 Or, you can consume a few strawberries daily to prevent gastritis. Liquorice contains natural antioxidant properties that are helpful in treating gastritis. You add liquorice root tea into the cup of hot water. Then, you let it soak for about 10 minutes. After that, you allow it to get cool and strain it. Finally, you drink this tea slowly. You may have it up to three times a day. 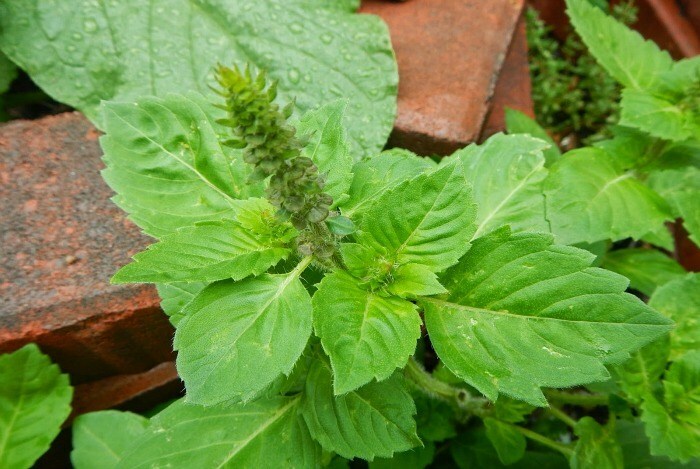 Holy basil leaves have also been found to be effective for curing acute gastritis. Their antibacterial and anti-inflammatory properties can help to reduce inflammation and decrease infection caused by the Helicobacter pylori bacteria. In addition, it can also aid in treating symptoms such as stomach pain, vomiting, nausea, and indigestion. At first, you take these holy basil leaves and wash them thoroughly with clean water. Then, you place them into your mouth and chew them slowly to cure stomach pain. You may do this way daily for at least several weeks. Firstly, you mix basil juice with ginger juice together. Then, you drink it slowly. You may have it for about 2 or 3 times per day for one week. At first, you add the dried basil leaves into the cup of hot water. Then, you steep it for about 5 to 7 minutes. After that, you strain it and add honey into this tea. Finally, you can sip this tea slowly. Because fennel seeds can help to soothe your digestive system and relax your gastrointestinal tract muscles, they are recommended for gastritis treatment. 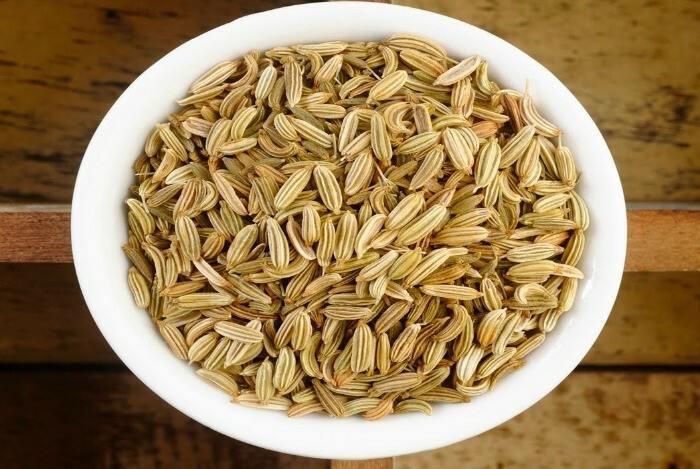 Thanks to their stomachic, anti-inflammatory, antibacterial, and antispasmodic properties, fennel seeds are very beneficial in reducing symptoms such as indigestion, bloating, gas, heartburn, and vomiting. You add fennel seeds into the cup of hot water. Then, you cover this cup and let it soak for about 10 minutes. After that, you strain this tea and add honey into it. Finally, you can drink it. You may have it for about 3 times per day for one week. Also, you may also chew and swallow fennel seeds thoroughly after your meal to reduce symptoms. Although hot food should be reduced down, long pepper powder (in this remedy) is recommended for people with gastritis. 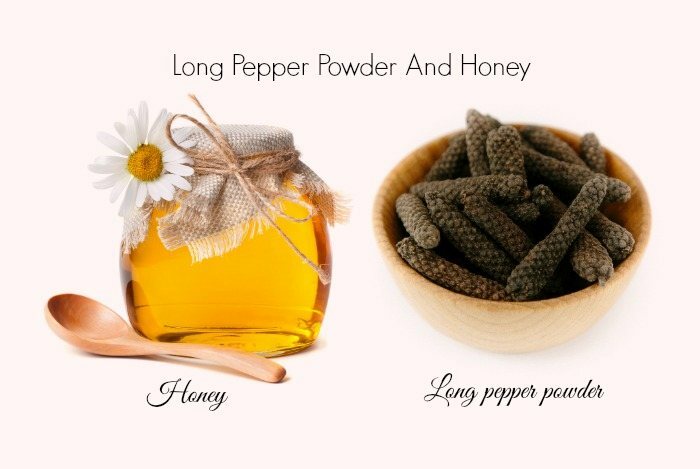 Simply, you just consume long pepper powder along with honey to relieve the gastritis problems. You may follow this way when needed. 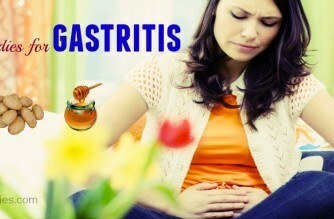 A popular remedy in the list of top 25 natural home remedies for gastritis is to use licorice. Its soothing and anti-inflammatory properties can reduce inflammation as well as relieve symptoms such as a burning sensation in your stomach, indigestion, heartburn, and more. In addition, it can also protect your inner stomach lining from the infection and decrease the risk of having ulcers related to this condition. You add licorice powder into the cup of hot water. Then, you cover this cup and steep it for about 10 minutes. 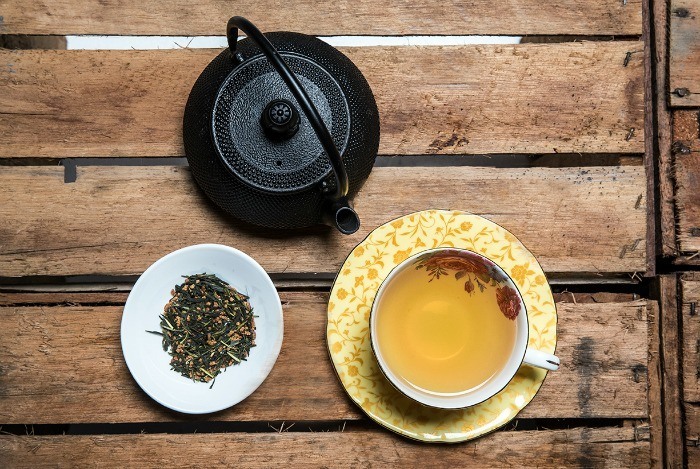 You may drink this tea for about two or three times a day for one week. Or, you may also take 200 to 500 milligrams of standardized deglycyrrhizinated licorice for 3 times per day. However, if you’re taking any other medicines, you should consult your doctor first. Consuming the sweet and delicious water of delicate and green coconut is considered to be extremely useful for people suffering from gastritis. 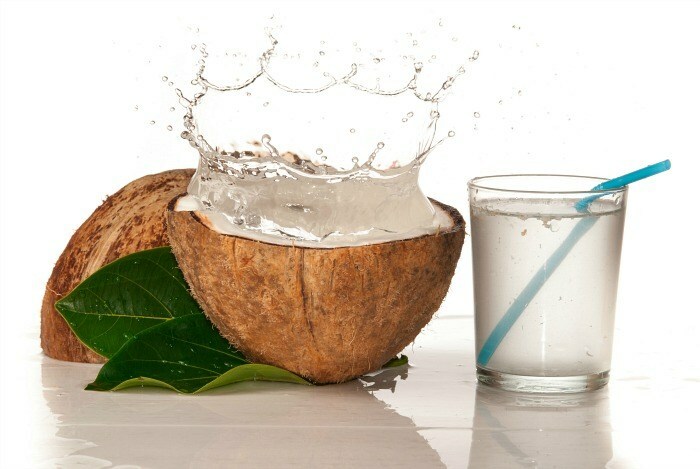 Coconut water is very rich in vitamins and minerals that can help your stomach capacity better. Therefore, you should try to drink 1 glass of coconut water for about three to four times per day. Likewise, you have to make certain that coconut water isn’t somewhat tart because it can lead to acid reflux. 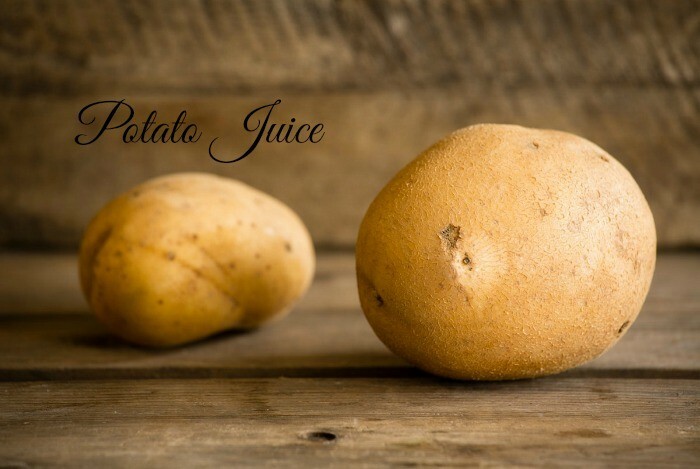 Another effective remedy in the list of top Twenty-five natural home remedies for gastritis is to use raw potato juice, due to its healing and antacid properties. In addition, the alkaline properties of potato can help to reduce bloating, excess gas, cramping, and other symptoms of this problem. At first, you peel these raw potatoes and slice them. Next, you put these potatoes slices on a strainer and then press with a spoon in order to extract the juice. After that, you dilute half a glass of potato juice in a little warm water. You may have this 3 times per day, 30 minutes before your each meal, for about 1 to 2 weeks. At first, you take spinach juice and carrot juice. Finally, you drink this juice slowly. You may have this water daily for best results. Marigold is another effective remedy in the list of top 25 natural home remedies for gastritis that you should follow. 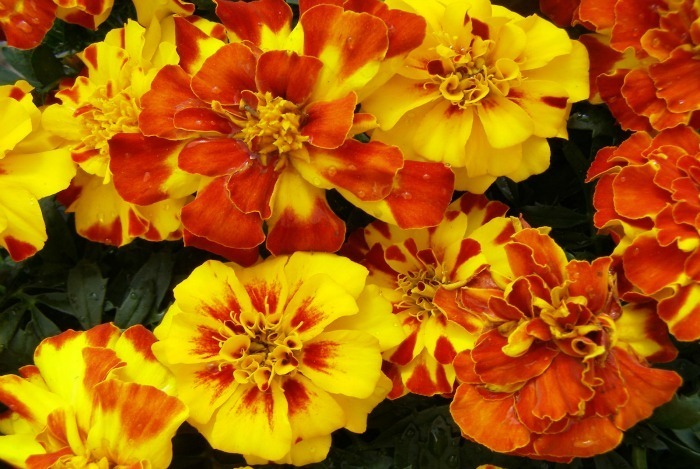 Simply, you take marigold extract for 2 or 3 times per day. This will provide you with a fast relief. Or, an infusion of this herb, in doses of 1 tablespoon can be taken for two times per day for better results. At first, you mix Sprague powder with black salt together. Then, you mix 2 grams of this powder into the cup of warm water. Finally, you drink this water immediately. You may have this water for one time in the every morning. You should cut back on red peppers, sour food, red meat, pickles, sweets and aerated drinks, and tea and coffee because they can irritate your stomach lining. Moreover, you have to avoid dairy products till your digestive system is healed. Instead, you should drink green tea regularly to prevent chronic gastritis. You had better have your dinner at least two hours before going to sleep. You have to eat slowly and ensure to chew thoroughly to make your digestive system act more easily. Moreover, you should eat small meals regularly to aid reducing any excessive acid buildup within your stomach. You have to avoid drinking water while you are eating your meals because this may delay digestion. Drink plenty of water during the day is the best way to get rid of many symptoms of gastritis. 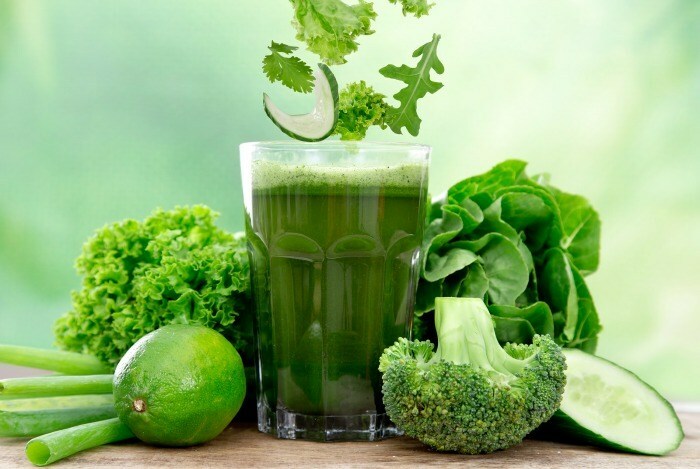 For gastritis caused by anemia, you had better take supplemental chlorophyll after getting your doctor’s advice. In addition, you may take supplements of vitamins E, C, and B12 to help your body to heal quickly. You may maintain a food diary in order to find out what causes gastritis and try to eliminate or cut back those foods from your daily diet. You must quit smoking and reduce or eliminate the intake of alcohol. Also, you should also minimize stress through yoga or meditation because it can worsen this problem. If you’re taking any medicines, you have to consult your doctor because certain medications may aggravate your stomach problem. If you want to know more about natural home remedies for other diseases and conditions go to our main Home Remedies page. After reading the article of top 25 natural home remedies for gastritis pain, hope that it can help you find out the best solution for treating gastritis pain simply and easily. 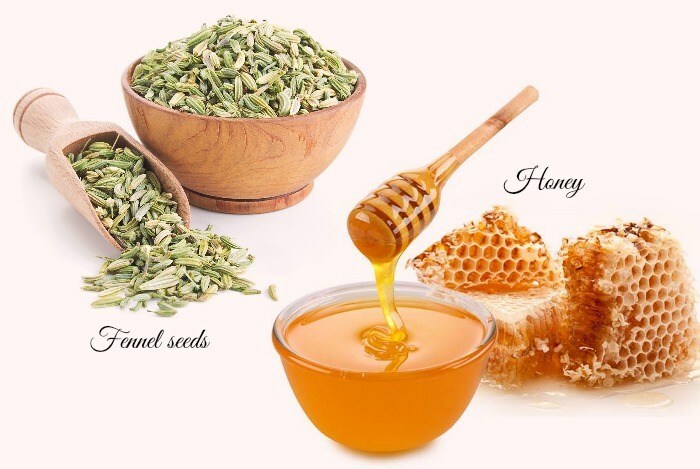 However, the article is only for the informational purpose, thus, you should meet your doctor to get advice before applying any natural home remedy. If you have any question, or you know other natural home remedies for gastritis pain, please leave them below.